Though it’s often overlooked, suburban poverty has risen sharply. When my father, aunt, and uncle decided to pool their money to buy my grandmother a house closer to one of her children, they didn’t need to look far. The house next door to mine had just gone up for sale. I had played with the children who lived next door for years, so my father asked me what the inside of the house was like. “I don’t think you want to buy that house,” I told him. He was confused—the house was in perfect condition on the outside, a cute little colonial-style two-story. Yes, it was built in 1921, but it had an immaculately kept lawn and a big tree with a swing in the backyard. But the inside of the house looked nothing like the outside. The owners had started renovating years before, but stopped midway through when money got tight. There were no walls in the kitchen and dining room, and no flooring. Old knob-and-tube wiring hung, exposed, from the studs. One planned bathroom had barely been started, it was just exposed pipes in the wall. The basement had a dirt floor that got muddy when it rained, and the washing machine was propped on plywood in the corner. An exposed stud in the kitchen was a sad testimony to the history of the house. The heights of the family’s three children were marked there, starting when each child was 2. By the time the family moved, they were in their 20s—proof that the house had been unfinished for decades. My family thought I was lying until they saw for themselves. The house next door is a symptom of and a metaphor for the larger phenomenon of suburban poverty. Americans have ready-made stereotypes for poverty in urban and rural areas, of crime-filled streets and crumbling housing projects or broken-down farmhouses and beat-up pick-up trucks. But suburban poverty, thanks to its stereotype-defying nature, is often more difficult to understand. My family bought that house, and the more than two acres of land it sat on, for $20,000. The sale notice in the local paper caused a scandal in my suburban community—housing prices in the region are low, but not that low. Neighbors were unwilling to believe that $20,000 was all that house, with its pleasing exterior, was worth. As my family worked to renovate the house, we realized that we had much more in common with the family next door than we thought. My father, a cabinet maker, had always gotten along well with the machinist patriarch of the house next door. They bonded over a shared identity as working-class men, relating to each other’s long shifts and six-day work weeks. But my dad hadn’t realized how much his neighbors struggled. They had seemed so much more prosperous from across the property line. We were also a working-class family that struggled to make ends meet, fighting to finance a slew of large and small expenses—from car insurance to braces to broken household appliances. We did not always juggle these costs well. I went without health insurance for months when the premium swelled and my dad struggled to find a plan he could afford. My parents are divorced, and because my mom lived in poverty, we received food stamps and free school lunches. My father, meanwhile, has struggled to scrape together $15,000 in retirement savings, despite working full-time his entire life. The neighbors likely didn’t know any of this. To them, the equation was clear: The interior of our home was finished, so we must be better off than them. Was it possible that each of our families had spent years thinking, wrongly, that their neighbors were doing better financially? Across the country, the phenomenon of suburban poverty is growing. In my hometown of Youngstown, Ohio, some 13.9 percent of suburban residents lived in poverty in 2011. Between 2000 and 2011, the number of suburban people in poverty in the United States grew 64 percent. These trends have been mirrored in rising student participation in the Free and Reduced Price Lunch Program—often used as a measure of families living in poverty—in suburban school districts nationwide. In 2011, 40 percent of students in suburban districts were eligible for this program. The suburban poor face a unique set of challenges, because suburbs simply do not have sufficient infrastructure for handling poverty. Those struggling to get by in suburban communities can have a difficult time accessing public transportation to travel to work, reliable childcare for unpredictable work schedules, or even a soup kitchen. Even as the numbers of suburban poor climb, awareness of their existence is minimal. The suburbs still conjure images straight from a 1950s sitcom, complete with soccer moms, family dinners around a table, and perfectly manicured lawns. And while these things still exist in the suburbs, it is shockingly easy to ignore the rising tide of poverty there. 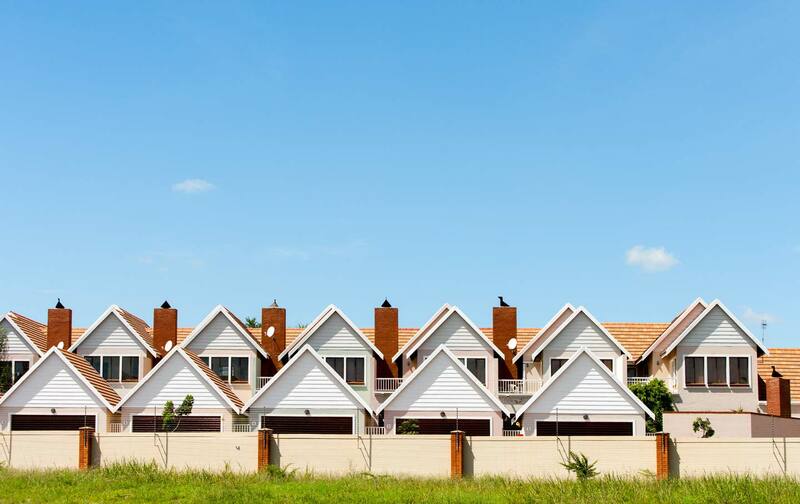 The suburban poor themselves may help to exacerbate to these stereotypes by hiding behind them. Looking presentable and fitting in are made easier by hand-me-downs and thrift stores that sell nice clothes for cheap. Poor suburban children may be able to attend highly rated suburban schools alongside the children of affluent families, their classmates and teachers none the wiser. And once-proud middle-class citizens, now unable to pay for rent or food, may struggle with guilt or shame and opt not to share their stories or even seek out help. The family next door succeeded in blending in, but they were not alone in their financial struggles—not in our neighborhood and certainly not in our larger suburban region. I don’t know if they realized that. Life in the suburbs can be isolating, especially when there is pressure to hide your circumstances from friends and acquaintances. If everyone who is experiencing poverty hides it, then all of those people end up thinking they are alone. My family would have thought the same, if not for the house next door. Angela PupinoAngela Pupino is a summer writing fellow at the Center for Community Change and a rising college junior studying international relations.